It’s no secret to us that millions of people have some type of dental fear or anxiety, and this often prevents them from seeking out the care that they need. We feel for these patients, which is why we offer sedation dentistry at Family Dental Associates. These techniques allow us to calm nervous minds, protect you from pain, and make it just that much easier for you to take care of your teeth. It’s also useful for patients who are short on time who want to get multiple treatments completed in one visit. Regardless, sedation dentistry enables us to help more people than ever before. If you’re nervous about visiting the dentist, don’t worry, we can help you! Simply contact our office today and ask about sedation. 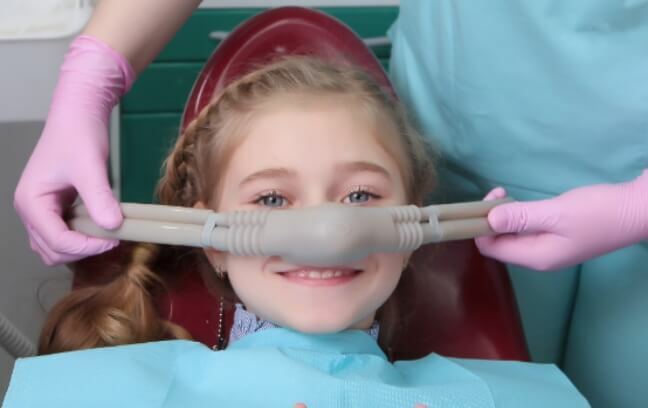 If you’re only a little nervous about your upcoming dental visit, nitrous oxide sedation is probably perfect for you. More commonly known as “laughing gas,” you’ll inhale this colorless and odorless gas through a small mask placed on your nose. Within a minute, you’ll feel a warm, comforting sensation. Once your procedure is completed, the mask will be removed and the effects will wear off almost instantly. You’ll be able to go on with your day normally right afterward.